Platte Valley Martial Arts is a Wyoming non-profit corporation dedicated to using martial arts as a vehicle to build better people. We practice kodokan judo and okinawan kempo in Saratoga, Wyoming, serving the surrounding communities of Encampment, Ryan Park, Hanna, and Rawlins, Wyoming. We study striking, throwing, and submission grappling. We offer traditional training, physical fitness and conditioning, and opportunities for sporting competition. For more information visit our website at https://wyojudo.business.site/ or join our Facebook group at https://facebook.com/groups/wyojudo/. Brazilian Jiu-jitsu, Jiu-Jitsu (Jujutsu/Jujitsu), Judo, Karate & Kempo/Kenpo classes are available in Saratoga for children and adults. Daytime and evening classes offered all year round on various weekdays. After school Martial Arts Program, Summer & Winter Camps etc. may also be available. Please contact Platte Valley Martial Arts for exact class hours for different age groups. Would you like more information on hours, classes and programs available at Platte Valley Martial Arts? Please contact the school with your questions. Update the details, Write a Review or Report Error of Platte Valley Martial Arts. View all Dojo in Saratoga or in Zip code 82331. This Chart shows the Martial Arts Styles offered most in Saratoga, Wyoming area. 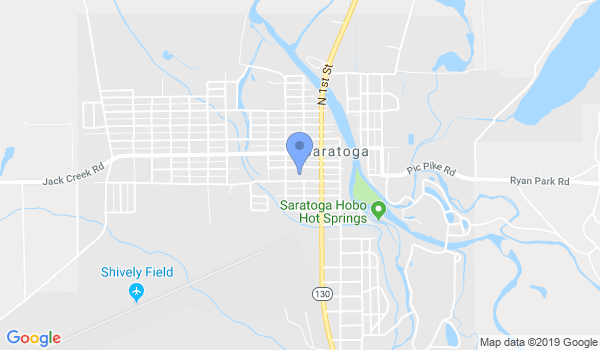 View a list of Dojo in Saratoga, or enter your address below to find schools closest to you.